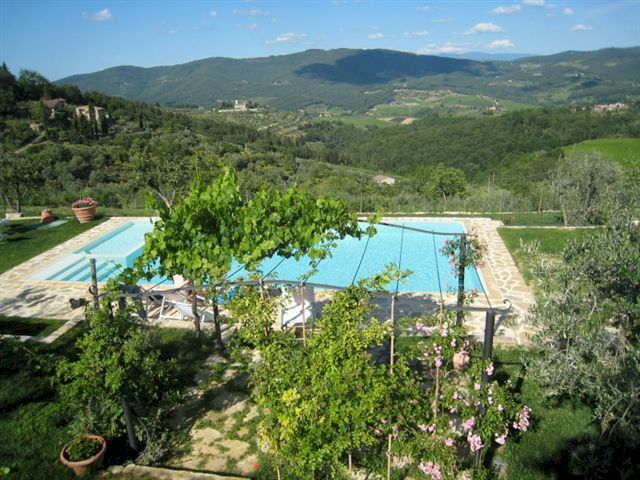 At any time of the year, there’s no better base for your vacation in Tuscany than farmstay rooms or an apartment with swimming pool high in the Chianti hills. Podere Torre is a small agriturismo that offers exactly that! This agriturismo is located 3 km from Greve in Chianti, more or less at the midpoint between Florence and Sienna, making it an ideal country base from which to visit those two art cities. Podere Torre offers an apartment for 2, 3 or 4 persons, and rooms with attached shower, with accommodation for a maximum of 5 persons. Breakfast can also be arranged. The small size of the Podere guarantees friendly and personal attention from Cecilia, the owner. The swimming pool is large and there are wonderful views out over the Greve valley below. The beautiful mediaeval village of Montefioralle is just across the valley. 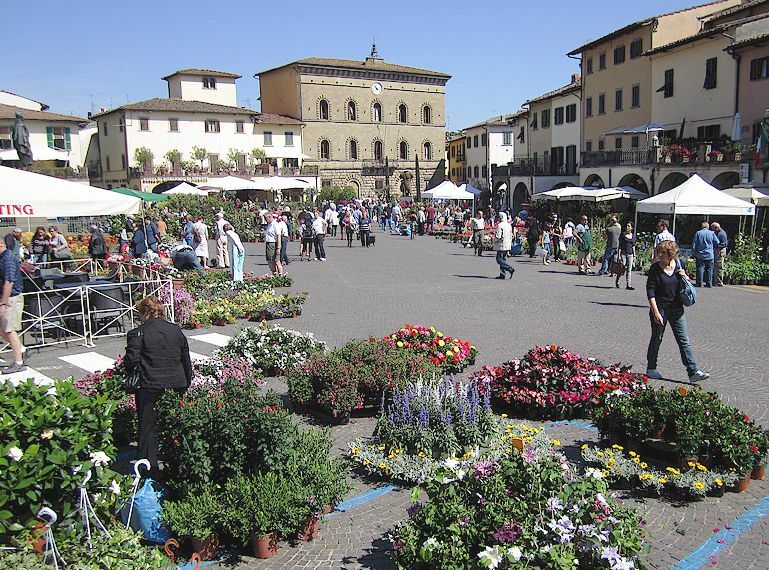 It’s a 3 km walk or drive to Greve in Chianti where there are plenty of restaurants, food outlets and other shops on and near the main piazza. You can take the bus from Greve in to Florence to bypass the parking problems there. More about Podere Torre Chianti farmstay.